12 Aussie professional conference organisers (PCOs) have just returned from a three day famil checking out the InterContinental Fiji Golf Resort & Spa's Insider Collection cultural experiences. 12 Aussie professional conference organisers (PCOs) have just returned from a three day famil checking out the InterContinental Fiji Golf Resort & Spa’s Insider Collection. The famil, designed to enrich the group’s knowledge of the hotel’s Insider Collection Fijian cultural experience program, kicked off with breakfast at the fourth hole of the Natadola Bay Championship Golf Course, followed by a trip to Batiri Village and Rahmatullah Memorial School, a traditional fish cooking class and a talk from a marine biologist. 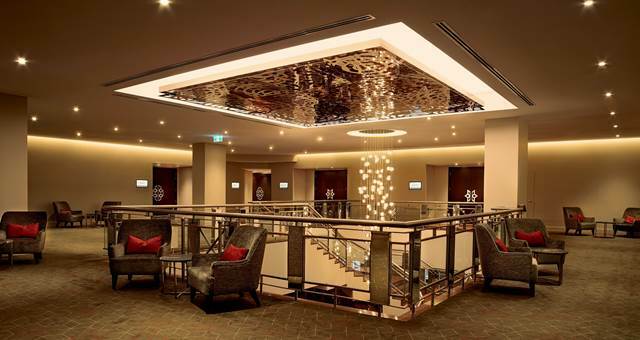 The InterContinental Wellington meeting rooms have undergone a multi-million dollar upgrade.